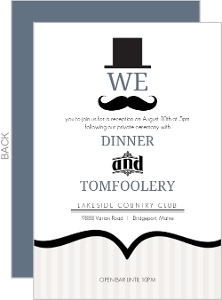 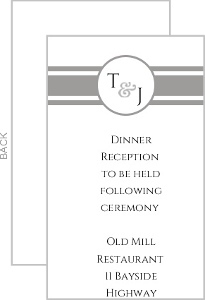 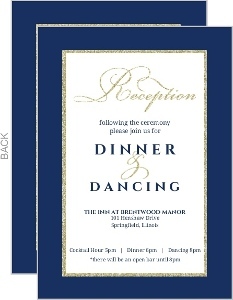 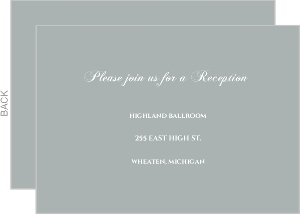 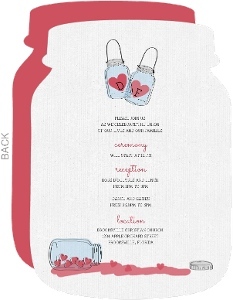 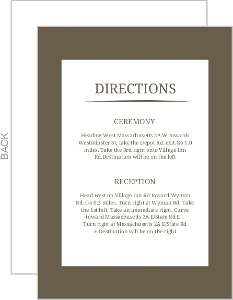 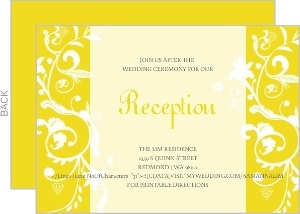 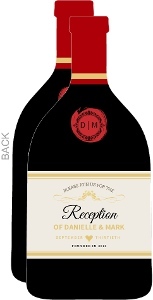 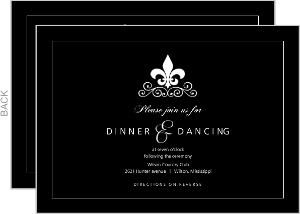 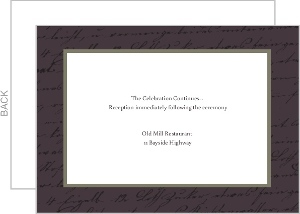 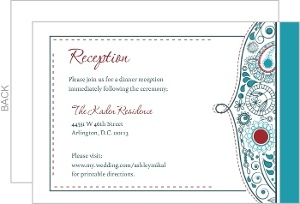 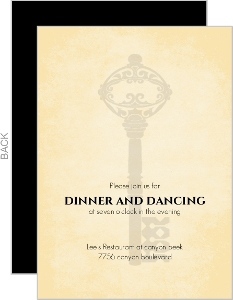 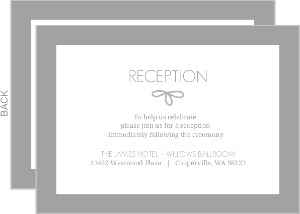 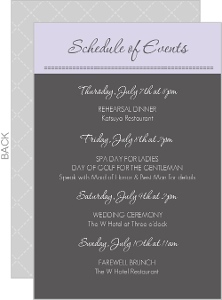 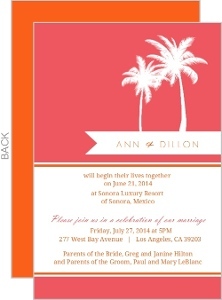 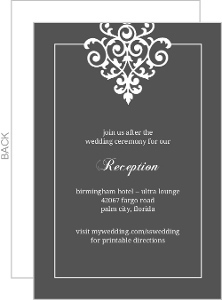 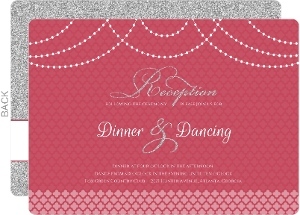 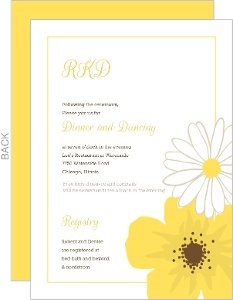 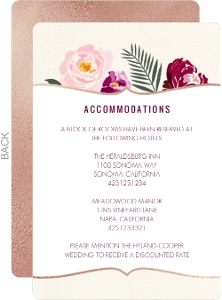 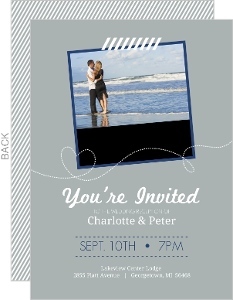 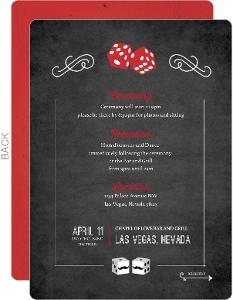 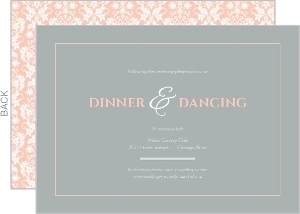 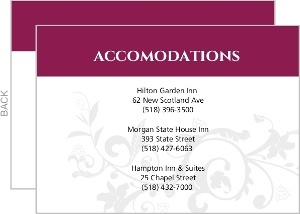 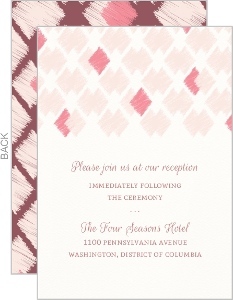 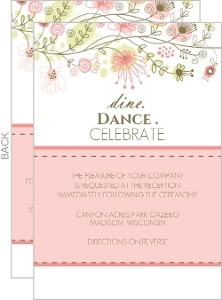 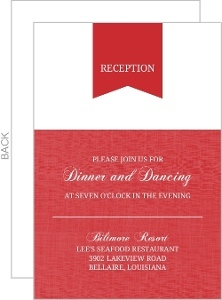 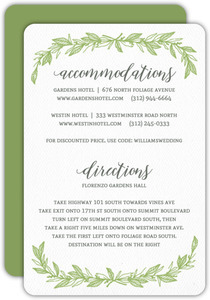 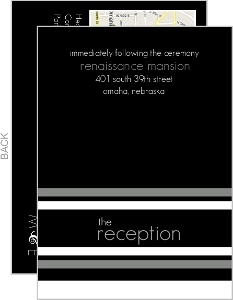 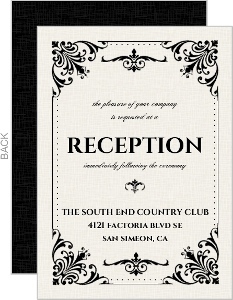 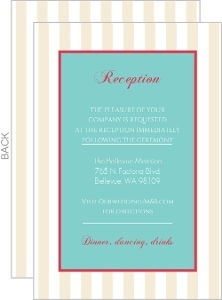 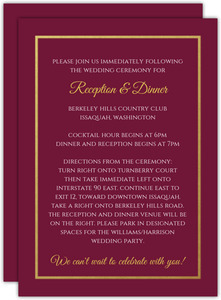 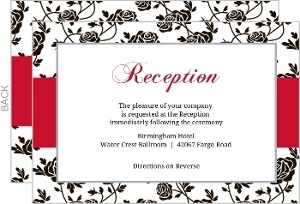 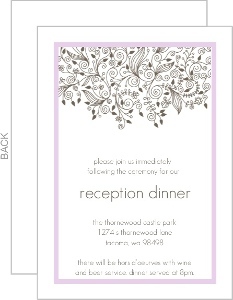 Like enclosure cards, Wedding Reception Cards, should only be a part of your invites in certain circumstances. 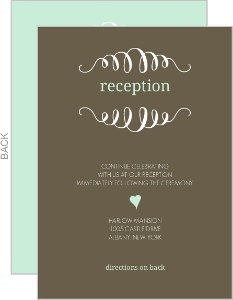 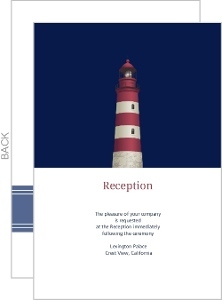 If you're holding a reception that's exclusive to certain people after the wedding, or a secret 'after-party' then these are usually when these types of cards are used. 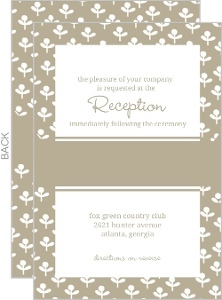 Wedding Reception cards are usually smaller than the invites themselves, and not too busy as they're not supposed to take any attention away from the invite itself. 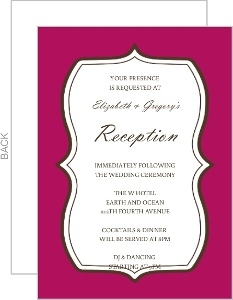 Have a look at our customizable designs. 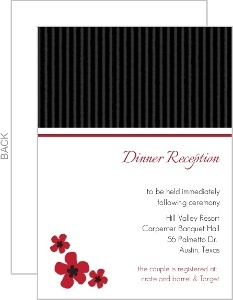 They can be made to say whatever you need them to say.